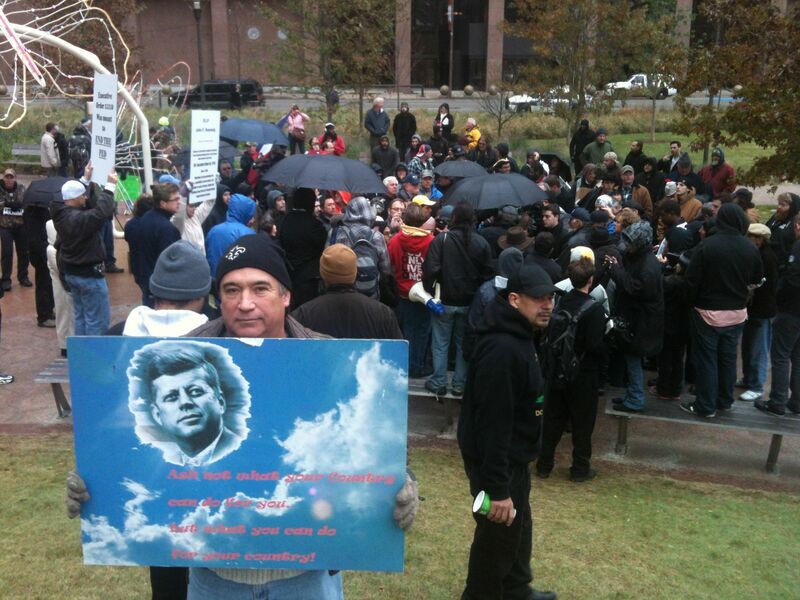 Many well-known 9/11 Truth Advocates will be in Dallas during the 50th Anniversary of the JFK Assassination. Some of the activists include Congresswoman Cynthia McKinney, Pete Dale Scott, actor Martin Sheen, James (Jim) Douglass, Alex Jones, Luke Rudkowski, Jim Marrs, John Judge, and more!! 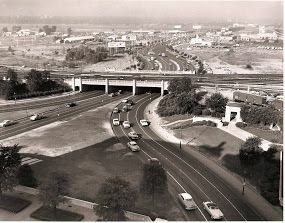 If you don’t live in the Dallas area, you might not be familiar with the City of Dallas Event: “The 50th: Honoring the Memory of President John F. Kennedy” (http://50thhonoringjohnfkennedy.com/ ) and the backstory surrounding the JFK Assassination 50th Anniversary. 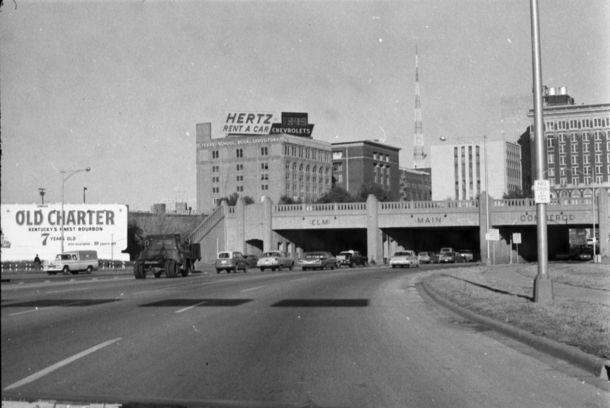 The locally famous Dallas Observer journalists, Jim Schutze and also Robert Wilonsky, have written a slew of articles disparaging the City of Dallas for its censorship and prejudice. The two “JFK Truther” groups are JFK Lancer and COPA. I was 13 when JFK was shot. As soon as I knew that Jack Ruby was mobbed up, I knew the story was bull. I thought to myself, "Hey, I'm from Massachusetts. I better watch out!" They had to say he was a yankee. 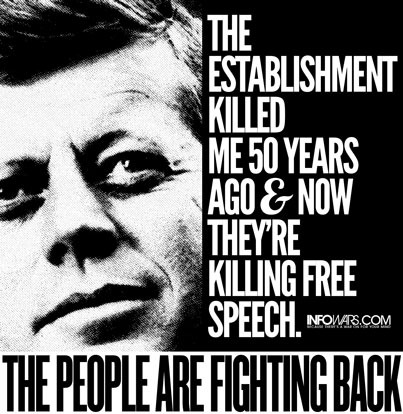 Recently a wise friend of mine asked me," Why does the JFK assassination get so much more traction than 9/11 truth? My answer is that everyone saw Ruby shoot Oswald, whose only words were," I'm the patsy." Too frequently I have heard those present near ground zero on 9/11 suggest their proximity gave them special insight that supports the OCT.
David Slesinger on Tue, 11/19/2013 - 6:23pm. WISDOM on Tue, 11/19/2013 - 8:28pm. John B. 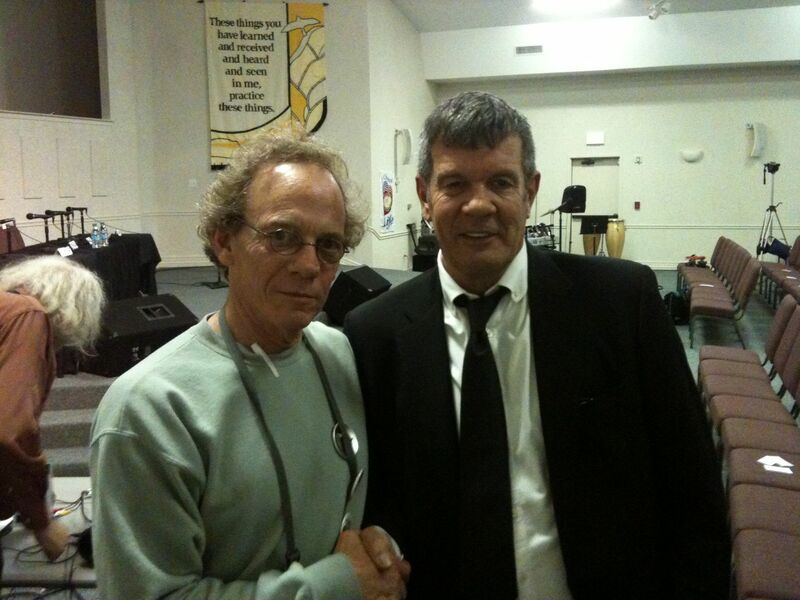 Wells, Saturday host of Coast to Coast AM, will also be in town. TomT on Wed, 11/20/2013 - 2:54am. 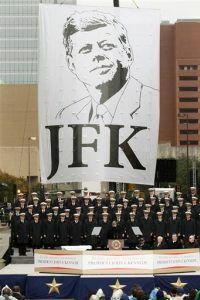 As stated above in the article, the City of Dallas is trying its best to delete the word or symbols of "assassination". 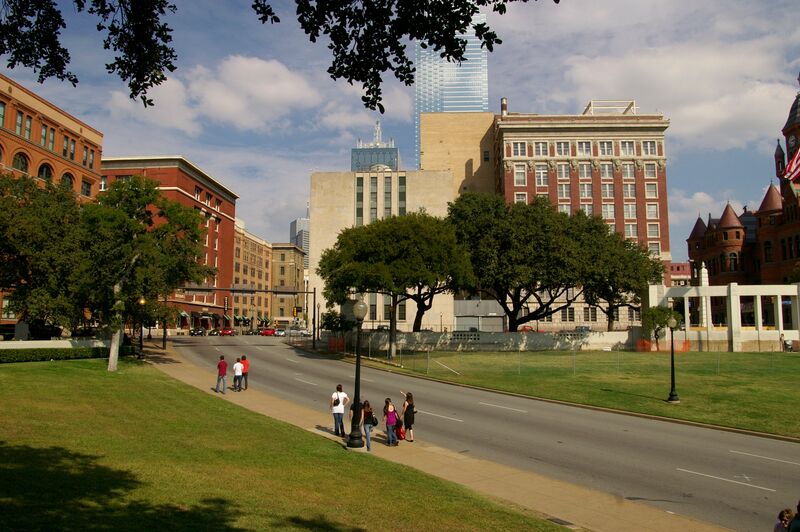 The 'X's that mark the spots on the street where President John F. Kennedy was assassinated are gone. 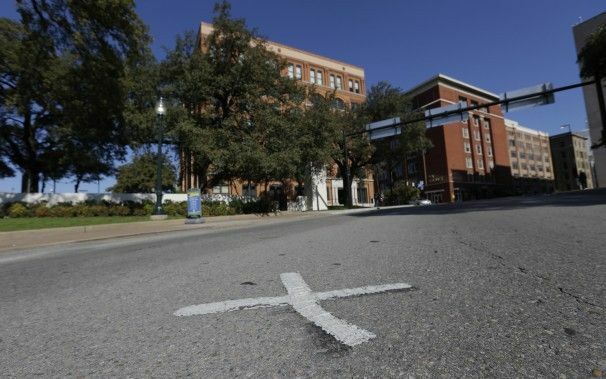 The disappearance of the marks came as Dallas prepares for Friday's events that will solemnly commemorate the 50th anniversary of JFK being assassinated. 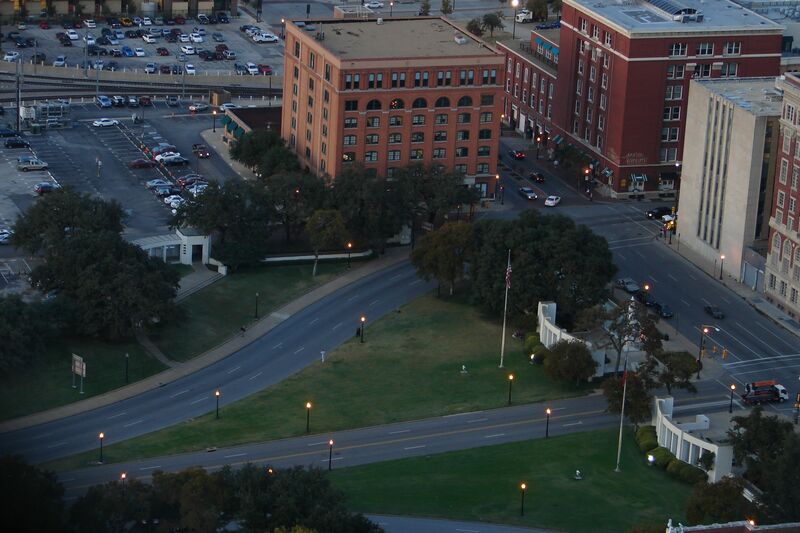 Kennedy's motorcade was passing through Dealey Plaza when shots rang out on Nov. 22, 1963. The markings on Elm Street are not done by city, nor does the city know who does it. City spokesman Frank Librio said workers are laying asphalt to level out the street and remove any trip hazards. He adds that "with thousands visiting the area this week we think that is prudent." 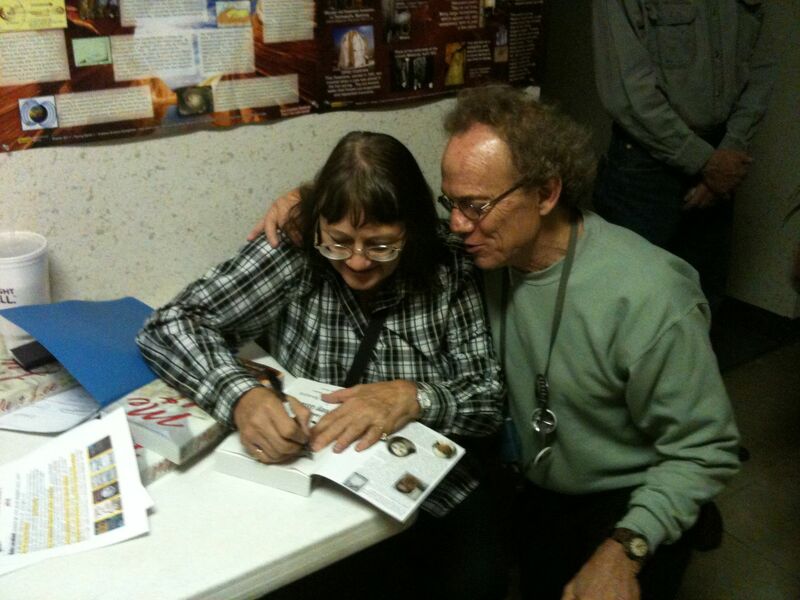 TomT on Wed, 11/20/2013 - 12:24pm. In the article above, Jim Schutze of The Dallas Observer talks about the potential "backlash" as a result of the restrictions imposed by the City of Dallas. Alex Jones is leading a variety of protests surrounding the restrictions imposed by the City of Dallas, giving out thousands of flyers similar to what is seen here. Here is a schedule of protests. This page has some videos of Wednesday night, Nov 20th, in front of the Dallas Federal Reserve. The Dallas Observer has some recent articles surrounding these events. The 50th is the last big moment of mourning for Dallas' aging true grievers. 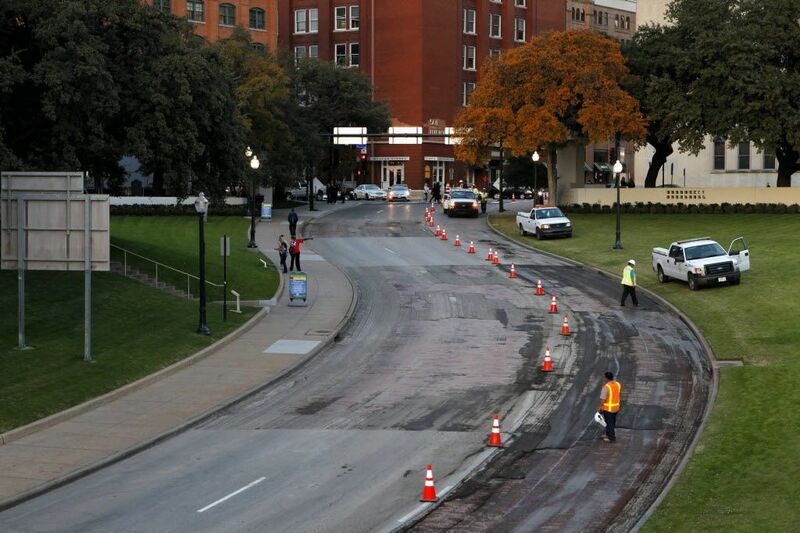 The City of Dallas JFK 50th Anniversary Event is well over, most people have gone. 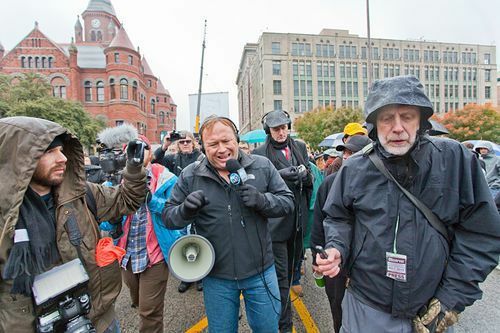 Alex Jones and protesters have been marching around in downtown Dallas for over 2 hours in the cold and rain. Alex states that soon he and everyone will all leave to go eat and get out of the cold. 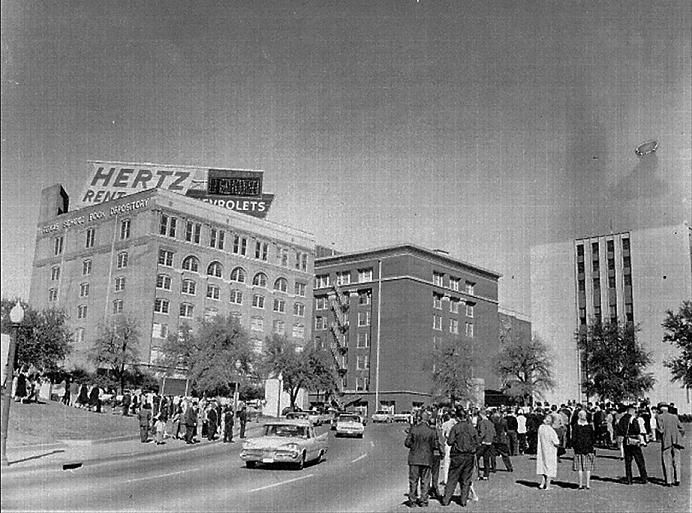 In pretense, authorities open up an area for the crowd of protesters to enter drawing them into a confined space near Dealey Plaza. Then the Sheriff's Department suddenly enters. 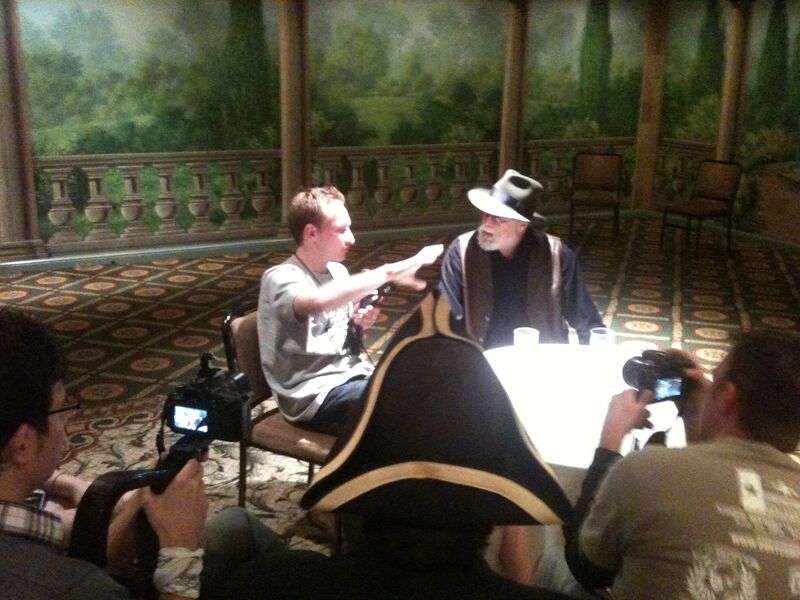 VIDEO - The Dallas Morning News has a summarizing video interview. 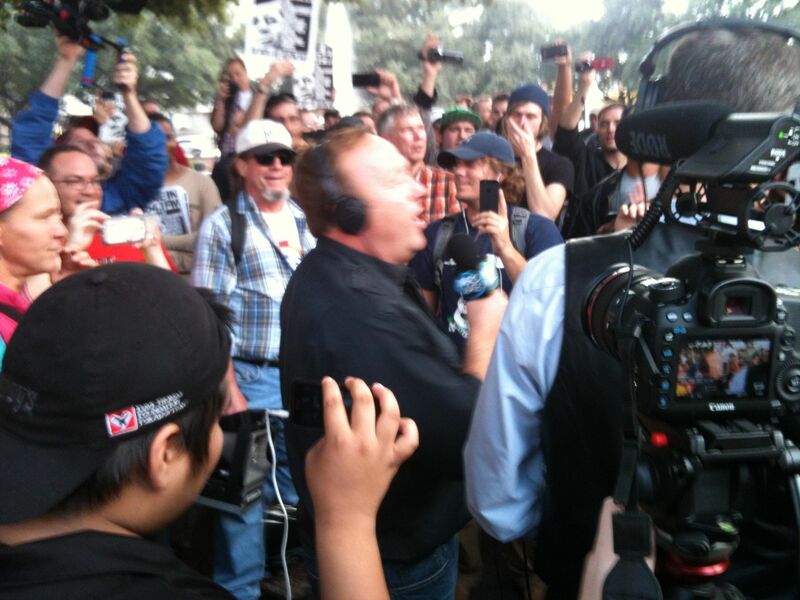 VIDEO - Here is over two hours of Alex marching and interviews in downtown Dallas. The video puts things into a proper, peaceful context. VIDEO - Confrontation / Incident - This confrontation video just follows the previous 2 hour video. TomT on Thu, 11/28/2013 - 12:59pm. Jim Schutze had his full article appear on Nov 28th, 2013. For a well-distributed, semi-mainstream publication, it was profound. "...In fact all of the big media with the sole exception of the Knight Ridder Newspapers Washington Bureau sold us that line while proudly showing us pictures of their reporters in full battle dress embedded with the American military. Take that chapter alone, marry it to the revelations of surveillance whistle-blower Eric Snowden, and all of a sudden it is reasonable to assert that the average person in America today is exposed to less truth and subject to more invasive personal spying than ever before in the history of the republic..."
"..Those conspiracies are clear and present, comprehensible and provable. They are massive in their impact on the lives of the living and those yet to be born. There's a whole bunch of money out there devoted to squeezing down what you and I can know about them and expanding what they can know about us, and that is a challenge right in front of our eyes right now in our own times...."
TomT on Sun, 12/01/2013 - 11:06am. On November 21 at the Unity Church - the Dallas Peace Center presented "Noah's Ark," a play by Ginny Cunningham based on the book "JFK and the Unspeakable" by James Douglass. Headlining the cast was well-known actor and activist Martin Sheen. Sheen played a Trappist Monk who is approached by an old friend, now in the CIA, who is troubled by what he knows and what he has done. Using flashbacks and dialogue between this agent, the agent's "handler," John F. Kennedy and Soviet Premier Nikita Krushchev, the play reveals how the CIA conspired to assassinate Kennedy because he wished to end the Cold War, nuclear testing, and establish peaceful relationships with the rest of the world. After the play, Martin Sheen delivered a stirring poem urging peace for the world. Then, James Douglass came onstage to answer questions and deliver an impassioned message that what occurred in 1963 was only the beginning, that the forces that took JFK's life now control this country and we are stuck in a cycle of endless conflict. He brought with him a new friend, one of the surviving doctors who had been in the trauma room at Parkland Hospital when Kennedy was brought in - Dr. Robert McClelland. 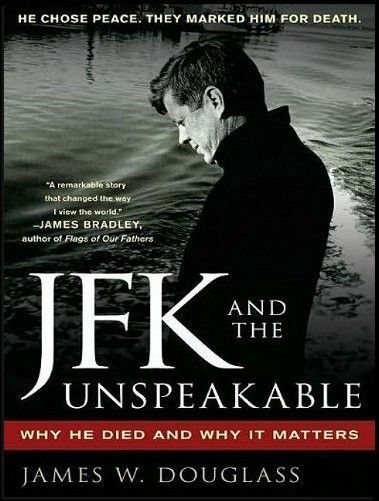 McClelland had just finished reading "JFK and the Unspeakable" two weeks earlier, was very impressed with the book, and was anxious to get in contact with Douglass and also to appear with him after the play. He told a heartbreaking story of observing Jackie Kennedy's last moments with Jack, which he wanted to make clear was nothing like what was portrayed in the recent film "Parkland." In the film, she was depicted as being hysterical, throwing herself over the body of JFK, nothing could be further from the truth, according to Dr. McClelland. She was very composed, was with the priest as he gave last rites, then exchanged her wedding ring off her finger for Jack's off his finger. As a final gesture, she kissed his bare foot that was extended out from under the sheet covering his body. Dr. McClelland mentioned some other things he saw that day. How, after Dr. Malcolm Perry had told reporters the head shot had come from the front, Secret Service agents took him out in the hallway and warned him not to discuss that. Dr. McClelland worked with Dr. Perry in the same office until Perry's death three years ago, and he said not once would he ever mention the head wound again. He also said when the surviving doctors were flown to Washington D.C. in 1987 to verify the Kennedy X-Rays and autopsy photos were authentic, his comments were edited so as not to attribute the head shot as coming from the front. 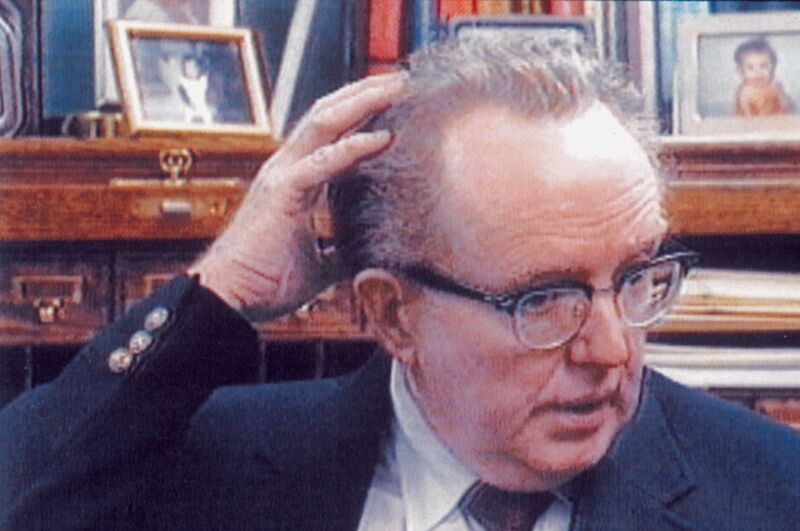 He also mentioned that he was in the trauma room when Oswald was brought in two days later, and two years later, when he operated on Abraham Zapruder for cancer. On a final note, Dr. McClelland said he was reading the new book by Roger Stone - "The Man Who Killed Kennedy: The Case Against LBJ" and recommended it to everyone. In the question and answer period, it was mentioned that Robert F. Kennedy Jr. has come forward saying there was a conspiracy and indeed, his endorsement of Douglass' book now graces the front cover of its new edition. TomT on Thu, 11/28/2013 - 1:57pm. Luke Rudkowski, John B. 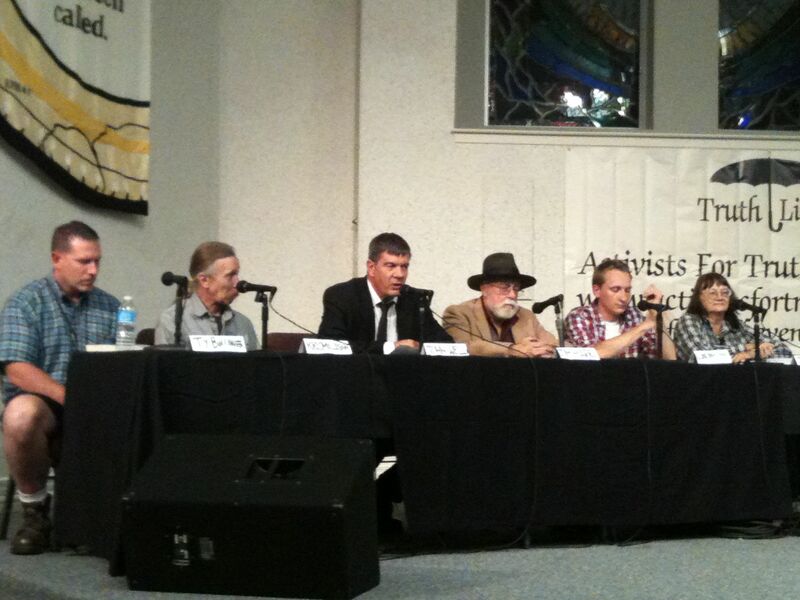 Wells, Jim Marrs, Judyth Vary Baker (Oswald's girlfriend) and others participated in a “In Depth, Truth Discussion Panel” on Thursday night, November 21st. TomT on Sun, 12/01/2013 - 11:37am. 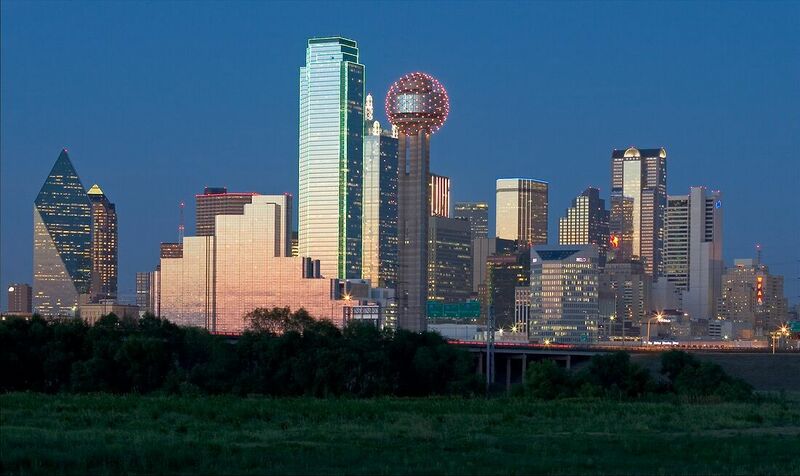 The sanitized City of Dallas Event. TomT on Mon, 12/02/2013 - 1:01pm.